His Highness the Amir Sheikh Sabah Al-Ahmad Al-Jaber Al-Sabah with Saudi King Salman bin Abdulaziz Al-Saud. KUWAIT CITY, June 6, (Agencies): HH the Amir Sheikh Jaber Al-Ahmad Al-Jaber Al- Sabah Tuesday initiated reconciliatory steps to resolve tension within the GCC countries and calm down the strain nerves. To this end, HH the Amir who arrived in the western port city of Jeddah at the head of high level delegation including the foreign and information ministers, held fruitful discussions with the Custodian of the Two Holy Mosques King Salman bin Abdulaziz bin Saud. 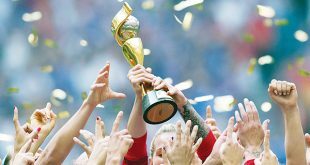 This move was widely applauded among citizens as affirmed by the lawmakers in the National Assembly and at the international level where several world leaders have been calling the Amir to show support for the positive step. The Amir held talks with Custodian of the Two Holy Mosques inside Al-Salam Palace in Jeddah where they delved into several issues concerning the two countries. They later moved to the latest developments in the region while Qatar expressed readiness for dialogue and peace moves. According to a source, a number of conditions have been laid down by countries that cut ties with Qatar, which should be implemented within 24 hours to resolve the issue. ■ Doha should abide by the treaty signed in 2012 in the era of King Abdullah bin Abdulaziz On his part, Saudi Foreign minister Ajeel Al-Jubail said policies of Qatar have become unbearable, so Doha should stop its support for Hamas and the Muslim Brotherhood. He explained cutting ties with Qatar wasn’t about hurting the country but to ensure she makes an option. Meanwhile, Qatari Foreign Affairs Minister Mohamed bin Abdulrahman Athani revealed that Qatar is ready to accept reconciliatory efforts as a way of calming down the situation after other countries had cut relations with her. He added Amir of Qatar was well disposed to giving Kuwait the honor of mediating in the regional confl ict. 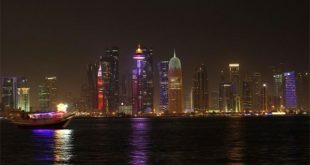 The Amir aims to mediate in the dispute between Qatar and its Gulf neighbours led by Saudi Arabia, lawmakers in Kuwait City said earlier. “We pray to God to help him succeed in achieving Gulf unity,” veteran MP Ali al-Deqbasi said during a parliamentary session. Sheikh Sabah played a pivotal role in mediating a compromise in a 2014 diplomatic dispute between Saudi Arabia, Qatar and other Gulf states. Saudi Arabia, the UAE, Bahrain, Egypt and Yemen on Monday cut diplomatic ties with fellow Gulf Cooperation Council (GCC) member state Qatar. 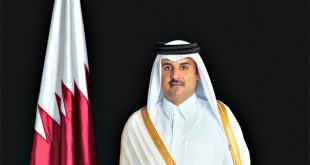 Qatar’s Amir, Sheikh Tamim bin Hamad Al-Thani, has delayed a speech planned for broadcast on Al-Jazeera at the request of the Kuwaiti ruler, the Qatari foreign minister said. Sheikh Sabah has urged his Qatari counterpart “to exercise restraint” and “give efforts aimed at containing tensions between brothers a chance,” said the Kuwaiti news agency KUNA. Kuwait, also a GCC member, did not join its neighbours in severing ties with Qatar. Kuwait on Tuesday began mediating between Qatar and the Arab nations that cut ties to the energy-rich aviation hub, though US President Donald Trump appeared to backing those isolating Qatar over allegations it supports terror groups and its relations with Iran. Qatar long has denied funding extremists and its foreign minister struck a defiant tone in interviews Tuesday, even after worried residents had picked through grocery stores in its capital, Doha. 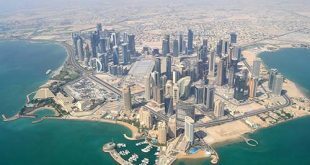 Qatar relies heavily on food imports, especially those coming over its border with Saudi Arabia, and those Arab nations opposing it have cut off their land, sea and air routes into the country. “On this scale, it’s unprecedented,” said Hatoon al-Fassi, a Saudi historian of Gulf Affairs and Women’s Studies at Qatar University. He later tweeted: “Perhaps this will be the beginning of the end to the horror of terrorism!” Trump, who traveled to Saudi Arabia for a recent conference of Arab nations, had told Qatar’s ruler at the time that “we’ve been friends now for a long time.” Qatari officials declined to immediately comment. 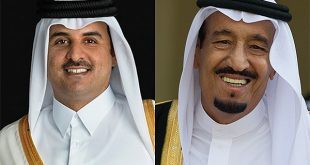 In an earlier interview with Dohabased satellite news network Al- Jazeera, Foreign Minister Sheikh Mohammed Bin Abdulrahman Al Thani said Kuwait’s ruler had asked Qatar’s Amir to hold off on giving a speech about the crisis late Monday night. Sheikh Tamim bin Hamad Al Thani “received a call from the Amir of Kuwait asking him to postpone it in order to give time to solve the crisis,” Sheikh Mohammed said.